Two New Jersey legislative committees yesterday passed bills that would provide support to nuclear plants facing premature closure. The Senate Budget and Appropriations Committee met jointly with the Assembly Telecommunications and Utilities Committee to consider Senate Bill 877 and Assembly Bill 2850. The bills would establish a zero emission certificate programme, which would credit nuclear power plants for their non-emission of carbon dioxide. The legislation also includes requirements to examine electricity storage, support for solar and wind energy initiatives, and measures to reduce electricity consumption. The full Senate is now scheduled to consider SB877 on 26 February. 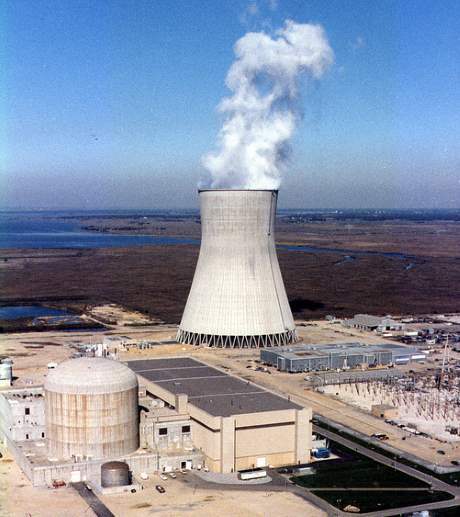 New Jersey's four nuclear reactors - the single-unit Hope Creek and twin-unit Salem plants, both owned by Public Service Enterprise Group (PSEG), and Exelon's single-unit Oyster Creek - together generate 38.5% of the state's electricity. PSEG has previously said that although Hope Creek and Salem are currently operating economically, without intervention they are expected to be unable to continue covering their costs within two years and may have to close. Oyster Creek is already scheduled for early closure following changes to state water use rules that would have required the construction of new cooling towers at the plant. Earlier this month, Exelon announced its decision to retire the plant this October. In 2017 results released today, PSEG said its nuclear fleet operated at an average capacity factor of 93.9%, producing record electric output for the year of 31.8 TWh. PSEG president and CEO Ralph Izzo said that the company had entered 2018 "from a position of financial strength aided by a strong balance sheet" but continued to face challenges in wholesale power markets, especially at its nuclear plants. Ahead of the votes yesterday, the US Nuclear Energy Institute (NEI) called for swift legislative action in New Jersey to properly compensate the state's nuclear plants for their carbon-free generation and contribution to grid reliability. "Clearly it is 'cheaper to keep' Salem and Hope Creek nuclear plants running in New Jersey benefiting all New Jersey consumers and communities than to let them retire prematurely," NEI Vice President for Policy and Public Affairs John Kotek said at the joint hearing. Kotek said the estimated benefits of keeping the plants running - economic benefits of $820 million per year, environmental benefits of $530 million and $400 million of avoided higher electricity rates - outweighed the expected $280 million cost of the programme by six to one. Nuclear plants provide 95% of the New Jersey's non-emitting electricity, he said. "If these plants close, the downstream consequences are dire and irreversible. The electricity produced by these plants will need to be replaced and most of that generation will be produced outside of the state," Kotek said.